In This Blog you will learn, which of 4 possible can you claim to enter Georgia and then all about E-VISA requirements. Step by Step Tutorial and Guide, All the Information that you will need to take into consideration before and after your arrival can be found here. I tried to provide useful tips and warnings about coming to Georgia. 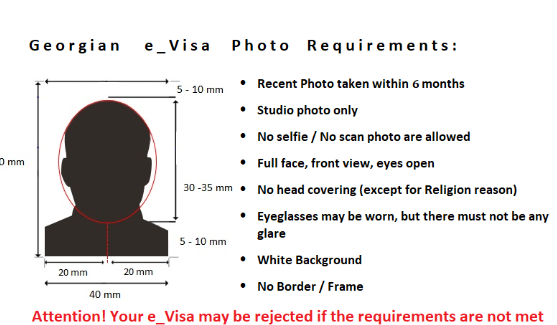 Check whether you are Eligible for E-VISA here. 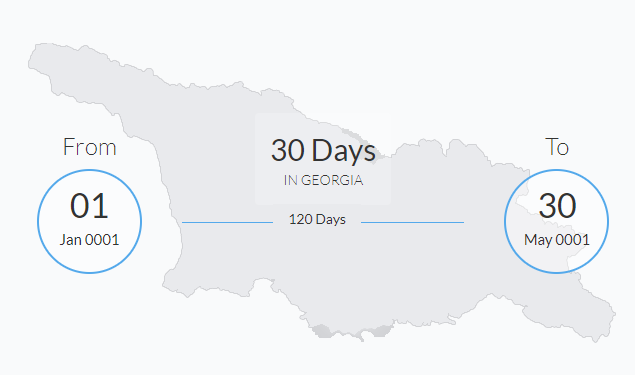 In case of approval e-Visa will be valid for 120 days with the right to stay in Georgia up to 30 days during the validity period. VISA FEE - 20 USD - To be Payed using MASTERCARD /VISA CARD or Debit Card. Arrival Date must be later than 5 working days and earlier than 90 calendar days from applying date! Triple Check your application, since in case of any mistakes after submission you will not be allowed to correct It. If you already have a valid international travel Insurance go aheade an use It! Prepare E-Version, of-course. You must directly face the camera. File size must not exceed 5 MB.<br> Only JPG, JPEG, PNG and BMP files are allowed. Please see the sample photos by clicking this link. You will receive email confirming your application with payment instructions. Once again, the method of payment is Electronic using Master Card/Visa Card/Debit CArd. NOTE: Verification Link is only Valid for 1 Hour. If you do not pay for your application within 1 hour your application will be canceled and you will need to recreated It. Acknowledgement: It takes less than 5 working days to make decision on the granting E-VISA. Application Fee is not refundable. Document Proving Purpose of Travel – You can prove purpose of your travel by presenting invitation, letter from nominating Institute or Organization or by presenting other document proving a purpose of visit. Letter of Invitation from Georgian Individual/Institution is highest value amongst these. Need the invitation letter? Contact us we will consult with you. Document Proving sufficient financial means – You can prove possession of sufficient financial funds by presenting : Bank statement of the past three months, reference from your Employer which includes information regarding your position and income, document proving possession of real estate, letter from a sponsor. Letter from a sponsor (dated and signed) should include Name and Surname of sponsor, address, Contact Information, relationship between applicant and sponsor, place of destination and duration, list of costs covered by a sponsor.